Freetown Business School in collaboration with SOBA (a DfID funded project managed by Adam Smith International) will deliver a “Branding Bootcamp” in August 2017. The boot camp will be a two-week intensive training and assessment program with the goal of producing “Branding Bosses”, that possess the professional skills and expertise in effective branding processes, and develop the knowledge base-of-the-pyramid marketing tactics. After the “Branding Bootcamp”, it is envisaged that these well-trained “Branding Bosses” will develop skills to enable them to seek opportunities and potentially be placed at top companies, small & medium sized businesses/organisations; as well as being able to pursue independent careers with continued support from FBS for a period of time. 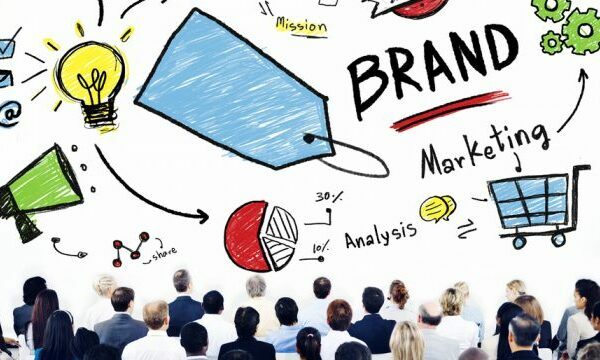 The “Branding Bootcamp” curriculum and course materials have been developed and will be delivered by The Brandling (a leading international marketing and branding firm based in East Africa – www.the-brandling.com). A key objective of the Freetown Business School is to develop local content by providing development opportunities for Young Professionals in Sierra Leone. In so doing, we will be reducing the overheads of companies who in the past would tend to use expensive foreign talents “Expats” to meet their marketing needs. This model is not only expensive but continue to leave a gap in the local market. a. Capacity building – To train “Branding Bosses” in the use of effective marketing in the Sierra Leone context and as such contribute to the development of the local businesses. b. Assessment – To assess the quality and provide a benchmark for the recruitment of a good marketing professional. c. Improved marketing capacity to leverage the marketing process to increase revenues among small & medium sized businesses; and improve economic growth in Sierra Leone. Internationally, marketing is a highly sought after profession. LinkedIn (the leading professional and recruitment social media platform) collected data from a survey in April 2017, published by the World Economic Forum which states that the Marketing Profession ranks 6th for recruiters worldwide. This includes Marketing Interns and Marketing Managers. Therefore, the boot camp is the first step many young graduates can take to a secured lucrative profession. The course curriculum and materials have been designed to fit the Sierra Leone context. An extensive research was undertaken to gauge the state of affairs of marketing in the country including speaking to various marketing and business executives about their experiences in the industry. Professionals and clients that a proper process is in place to grow the customer base and make their energy, time and money worthwhile. c. Enables Marketing Professionals and clients to learn from their efforts, create best practices and grow the business over time. d. A program that sets a process in place underpinned with practical, effective tools to support a replicable, cost effective and impactful process. e. Share cases that are relevant and replicable to the SL context. f. A practical approach that enables participants to apply the effective process to relevant cases. Each candidate selected to attend the boot camp will have to go through an assessment process. This includes an aptitude test and a short interview. The assessment will continue throughout the boot camp to ensure that qualified “Branding Bosses” from the program are equipped with the right knowledge, tools and skills to make an impact in their careers and contribute effectively to the economy as a whole. The program will equally function as a content focused boot camp and a benchmark to enable the employer to recruit quality “Branding Bosses” after finalisation of the program. Pre, during and post selection process will result in the selection of the best “Branding Bosses”. We are looking for a combination of dedication and capability to learn; and develop professional skills. The goal is to create a holistic picture of the strengths of each person and to create a learning and development plan for future developmental needs, benchmarking and long-term career plans. Engagement (attendance & engagement with materials & group). Freetown Business School through our partners Craft HR is committed to provide Recruitment, Monitoring and Advisory support for all qualified “Branding Bosses” from the program. Preparation of Resumes (CVs) with internationally accepted templates and guidelines. Internship spots with businesses and organisations to enable them implement ideas and skills gained at the boot camp. This support will mainly benefit the unemployed participants. The Monitoring Support will include liaison with the participant’s supervisor to ensure that ideas and skills gained at the boot camp are implemented through a Personal Development Plan and log. A mid-term and end-of-term review will be undertaken by Craft HR to ensure that targets set at the start of the monitoring period are met. The Advisory Support will focus on the desire of qualified participants pursuing specialisms in Marketing and Branding such as digital marketing, design skills and website building skills. FBS through Craft HR will provide resources on these areas of specialisms to ensure that qualified participants are equipped with the right skills to advance their careers. JANÜSKA DAWOOD (MSc.) is a Dutch born, Nairobi based, brand and Marketing Strategist for The Brandling. She has worked for international brands like Philips, Nestlé, Heineken, Diageo, Jaguar Land Rover, Dilmah Tea, Dusit International and Stanford University – on both client and agency side. Janüska applies a customer-centric approach to marketing and branding and focused her professional career on Emerging and Base of the Pyramid markets, specialised in Africa. ARIANA OLUWOLE is a young entrepreneur in the educational sector and Owner/Proprietress of Narnia Educational Group, an educational consultancy and an early learning center which caters for children between the ages of 0-3 years. Ariana is also one of the National Coordinators for the Commonwealth Association of Young Entrepreneurs in West Africa (CAYE-WA). She has worked with numerous multinationals in problem solving and creating solutions around project management, systems, implementation of work protocols and creating formidable work forces that are making history. In addition, she is also a Trainer, Facilitator and Coach.